A fantastic day in Irishtown Stadium for the Dublin FAI Schools Finals was had on Wed 25th April by our soccer team and mentors. Gary and the the girls remained undefeated throughout and played some super soccer. 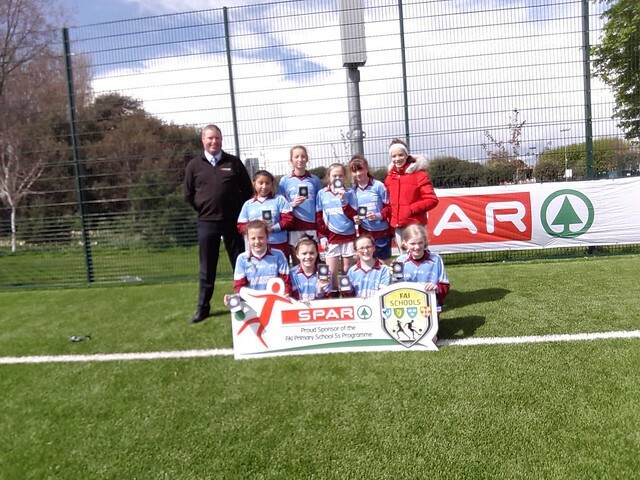 They topped their group, won their semi-final comfortably and played Our Lady of Good Counsel, last years Dublin and Leinster Champions, in the final. Georgie O'C (5th class) scored our first goal and OLGC went on to equalise in the last ten seconds. The game went to penalties and then sudden death where we were defeated 2-1. A wonderful performance from our team. Many thanks to Ms.Farrell for co-ordinating this year's FAI soccer league.